The Tessera Ergo hot tub is the perfect model for anyone who wants a hot tub with great features combined with a stylish and modern design. 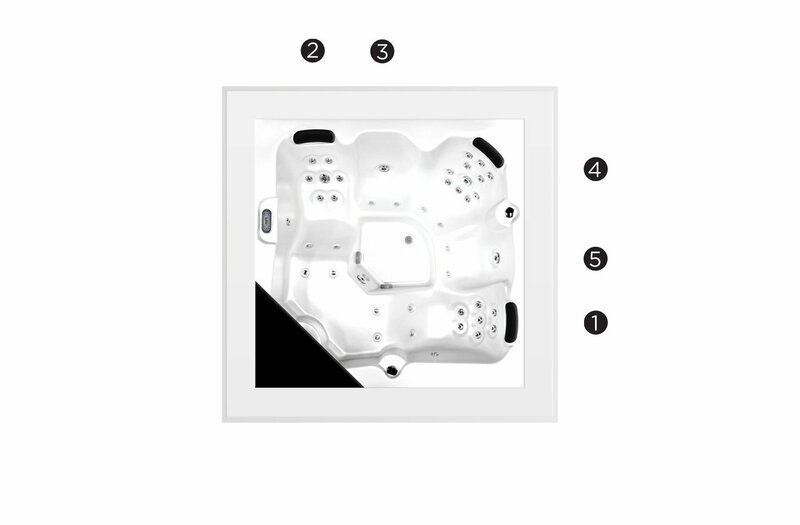 This hot tub has five seating positions, distributed between 2 loungers and 3 seats. Fitted with a total of 28 jets and 14 air nozzles, the hot tub has a complete hydromassage circuit that allows the user to complete a full treatment. 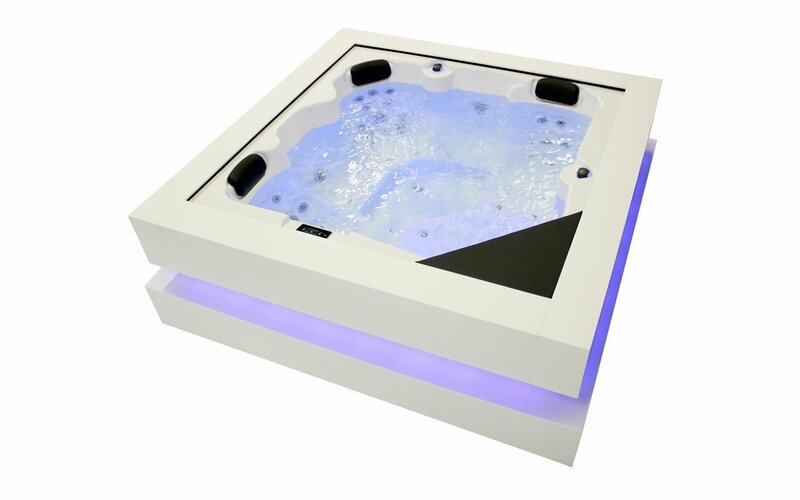 It has a powerful LED lighting system both inside and outside (optional in certain models) that make the hot tub a genuine chromatherapy centre. 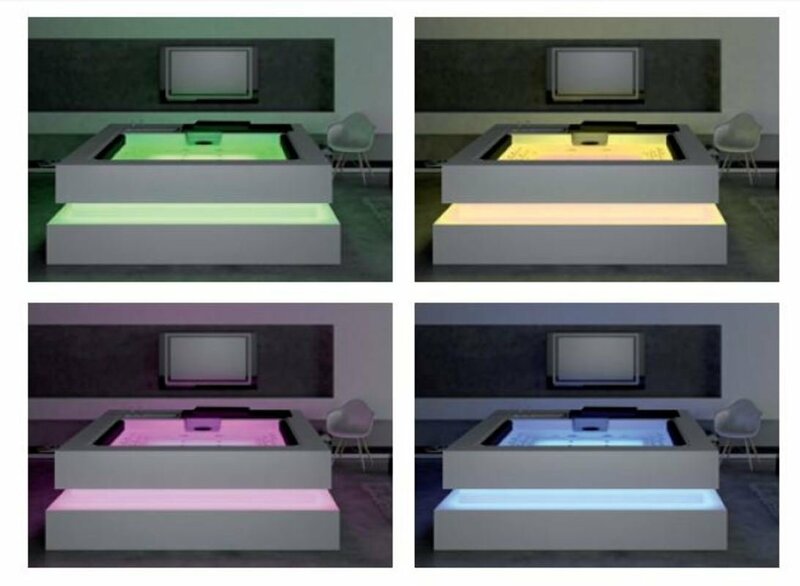 This model is supplied with various cabinet finishes: Solid Surface, Graphite, Walnut and Thunder, allowing the hot tub to blend in with any of the different environments in which it might be installed. The hot tub is fitted with a Gecko spa pack that controls the hot tub’s filtration, temperature and massage functions. It has a cartridge filter and UV-O3 water disinfection system. Aquatica’s hot tubs are not only designed for the comfort of users: we design our hot tubs with the idea of making them part of a wellness center, a decorative feature of your home. Whether you have a garden to install your hot tub, a terrace or an indoor space, the Tessera Ergo hot tub gives that space a personal touch. The Tessera Ergo hot tub is sure to impress: it makes a statement. If you want to buy designer hot tub that is fully equipped and ergonomic, the Tessera Ergo hot tub is your best choice. Tessera-Ergo combines various hydro massage circuits to achieve the most pleasurable massage effect. 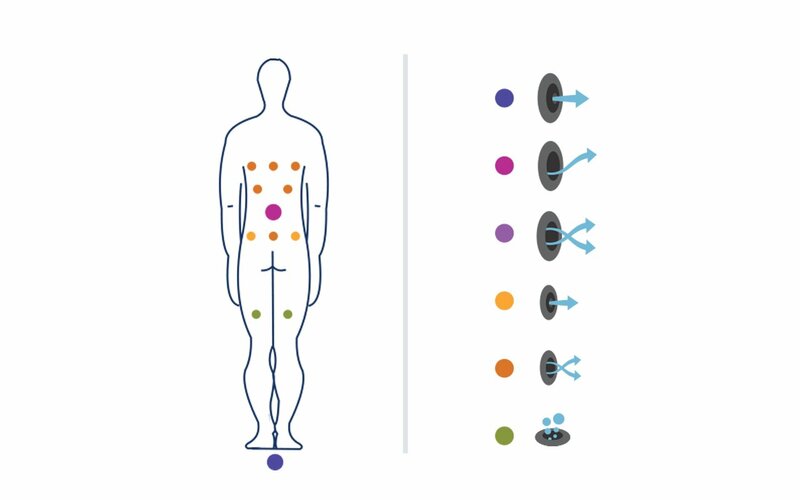 Each jet’s position has a role in this process, working on different parts of the body for a sustaining and energizing effect on the whole body. Here, six jets are positioned to massage the neck, spine and back muscles, plus one for the back of each calf. The aim of massages to the thoracic duct is to attain well-being by relieving pressure in the back and neck that has built up as a result of everyday stress, bad posture or muscle weakness. In combination with the relaxing massage to the calf muscles, this circuit results in a body that is better rested, which helps achieve a good night's sleep whilst also eliminating of toxins. Single pressure points on the spine, the back of each leg and the feet. The pressure applied on the single point of the spine is sufficient to have a positive effect on the surrounding muscle groups, as well as stimulating the circulatory and lymphatic system. The massage to the back of the legs contributes to improving their blood circulation, whilst the massage to the feet is recommended for people who spend a lot of the day standing. It is also ideal for sportspeople who are either recovering from an injury or dislocated joint, or whose discipline requires strong ankles such as skiers, motorcyclists, skaters, basketball players and so on. In this circuit, nine jets are positioned to massage the upper back and the small of the back, plus one for the back of each leg and one for each foot. The jets in this position work at full power to reach the whole of the surface of the thoracic region. This massage relaxes the cervical vertebrae, the shoulders, the centre of the spine, the upper back muscles and the small of the back, to alleviate pain in the back by loosening tight muscles. The result is a feeling of deep relaxation for all spa users, from sportspeople, to home users seeking rest and pleasure, through to patients undergoing rehabilitation. The massage improves the circulatory and lymphatic system by eliminating toxins and stimulating the drainage of the lower limbs. This focuses on single pressure points on the spine, the back of each leg and the feet. The pressure exerted on the single point of the spine is sufficient to have a positive effect on the surrounding muscle groups, as well as stimulating the circulatory and lymphatic system. The massage to the back of the legs contributes to improving their blood circulation. Massage to the feet is recommended for people who spend a lot of the day standing and sportspeople who are either recovering from an injury or dislocated joint or whose discipline requires strong ankles such as skiers, motorcyclists, skaters, basketball players and so. This also focuses on single pressure points on the spine, the back of each leg and the feet. The pressure exerted on the single point of the spine is sufficient to have a positive effect on the surrounding muscle groups, as well as stimulating the circulatory and lymphatic system. The massage to the back of the legs contributes to improving their blood circulation. Massage to the feet is recommended for people who spend a lot of the day standing and sportspeople who are either recovering from an injury or dislocated joint or whose discipline requires strong ankles, ankles such as skiers, motorcyclists, skaters, basketball players and so. 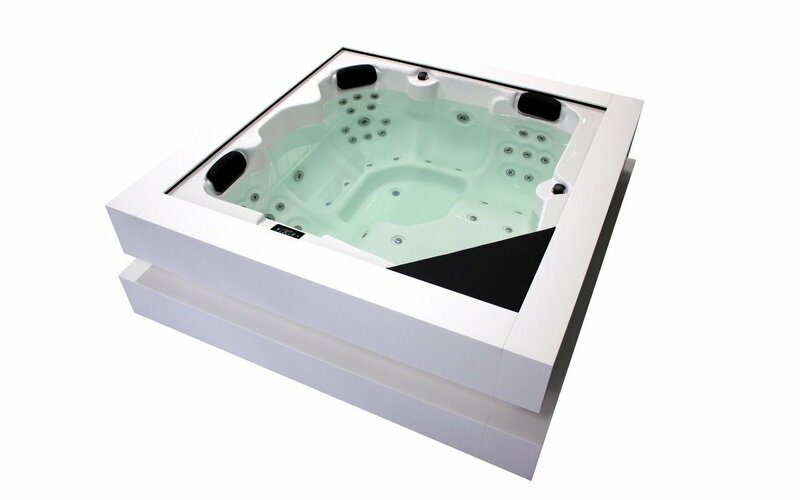 The Aquatica range of spas is made of a quad-layer composite core consisting of premium Lucite spa acrylic, resin reinforcement, polyester and polyurethane insulation and weatherproofing. All Aquatica’s spas have an insulation system made up of various layers of high-density polyurethane foam that keeps the water at an even temperature. This tried and tested system enables you to make savings on spa maintenance and ensures that our spas still work at extreme temperatures of up to -25 ºC (-13 ºF). These results prove that Aquatica spas with the EcoSpa feature achieve energy efficiency and that even in extreme climates power consumption is reasonable and sustainable. The results of the tests showed that great savings could be made by choosing the Eco Spa configuration. 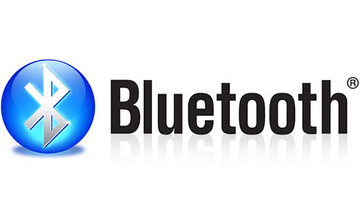 In some of the sites tested, savings of up to 75% were made in comparison with spas without this feature. 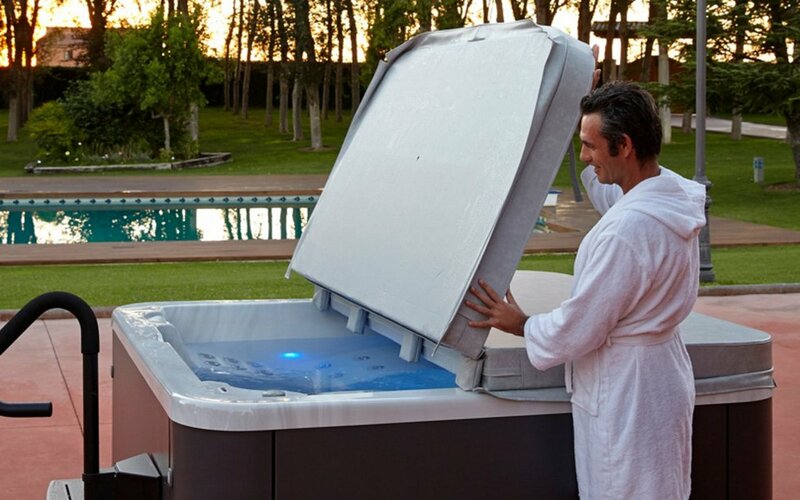 The Energy Saving Cover is the perfect accessory for the Ecospa option. By combining these two features, up 67% can be saved in power consumption as compared with spas that come without them. The Energy Saving Cover protects the spa from debris and excessive evaporation in indoor applications. It is also the perfect complementary accessory for the Ecospa insulation. By combining the spa cover with EcoSpa insulation, it is possible to achieve a reduction of up to 67% in electrical power consumption. 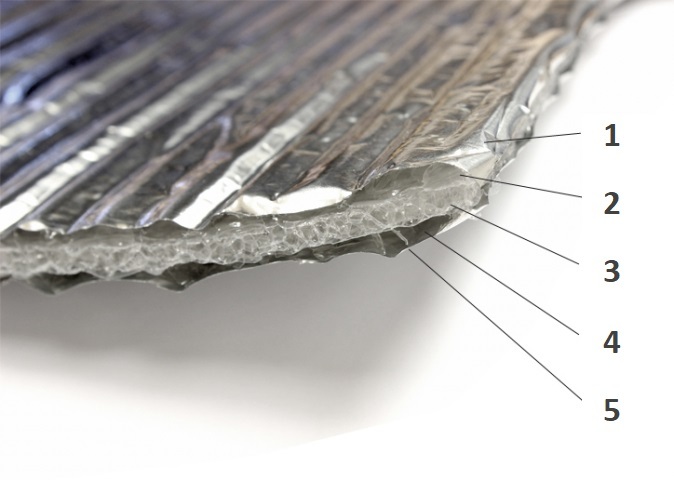 Our cover has double insulation to prevent temperature loss and water evaporation. 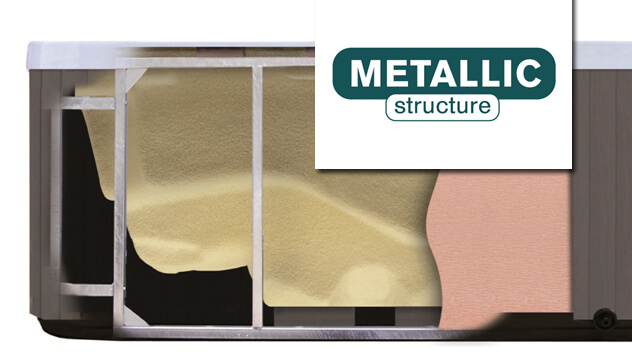 This change means that the thickest part of each of our Energy Saving Cover is 130 mm thick. Chromotherapy is a natural technique based on the use of colorful light to help your mind and body to find their natural physical, mental and emotional balance for the greatest relaxation. Colour Sense will enable you to enjoy an ambient lighting effect that projects colors through a number of LED spotlights and allows you to choose the colors that match your mood. Aquatica spas that are equipped with Colour Sense not only have several spotlights inside the spa but also each of the controls around the edge of the spa has a LED spotlight, as do the cascades and water fountains. The overall combination of the matching spotlights with the different light sequences offers a multitude of variations so that you can set the atmosphere you want in your spa and enjoy the best sensations before, during and after your hydro massage session. Colour Sense chromotherapy is the perfect accessory for turning your spa into an authentic relaxation center. Pure Line perimeter lighting converts your spa into an exquisite home decoration element. It consists of exterior LED lighting module and combines elegant, modern design and synchronization module with the Color Sense interior lighting. Whether you decide to install your spa in a garden or inside of your home, Pure Line illuminates the space and converts bathing and color therapy sessions into an unforgettable experience. The Pure Line provides a touch of high-class and exclusivity to your home, combining the ultimate spa experience with an exclusive element of decoration. The key role of aromatherapy is to stimulate and reinforce our bodies' natural defenses by inducing a state of relaxation and general well-being of the central nervous system. The optional aromatherapy module provides our customers with a whole host of new sensations. Unlike traditional aromatherapy system where spa-soiling oils are added to the water, our easy to maintain aromatherapy system works by injecting any chosen aroma through the air massage circuit. Simply place one of our aromatic beads in the special dispenser on the spa’s outer rim, close the rim and turn on the air-massage system. Thanks to the fragrances in the beads, the aroma comes out of the spa’s air nozzles to give you an unbeatable sensation. Aquatica’s spas have a silent pump filtration system. 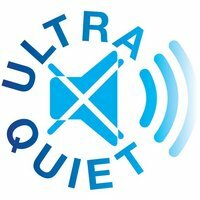 It is a standalone system that filters spa water efficiently without making any noise whatsoever. Most spas in the market use the same pump for the massage circuit as is used to filter the water. In contrast, the silent pump system in our spas for filtering the water are totally separate. Thanks to this system, you will be able to enjoy a massage whilst the water is constantly being filtered so that it is clean and crystal clear at all times. The silent pump is power efficient, which means filter cycles can be set to run at any time of the day without worrying about power consumption or the amount of noise that will be made. 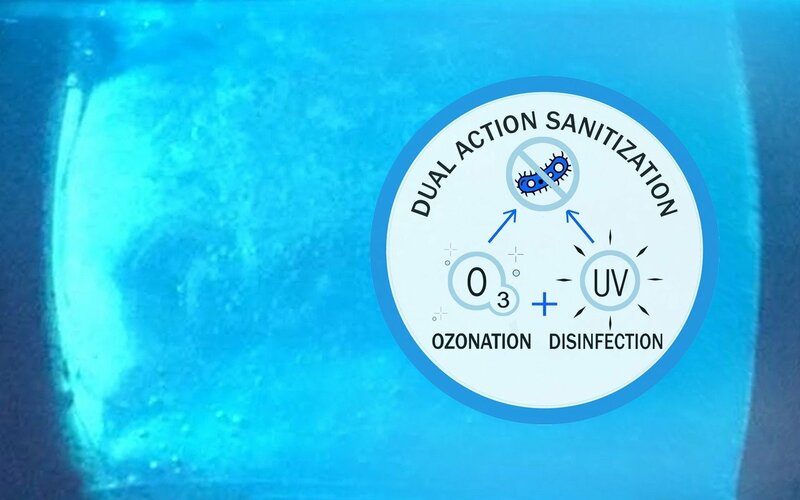 Our spas are equipped with a unique dual ozone and UV-C water sanitizing system in one compact and simple system. When used in a spa application, this innovative solution significantly reduces residual chlorine or bromine consumption and delivers a healthier and more enjoyable spa experience. Our Pearl, Laguna, Crystal, Tessera and Tessera Ergo spas feature built-in electronic anti-freeze protection. The spa electronic control system will activate heating and circulation as soon as it detects that the water temperature has dropped below +10C (+50F) and will then maintain the water temperature at this level. Note – in cold climate zones, the optional hot-tub lid must be used to provide additional thermal protection. 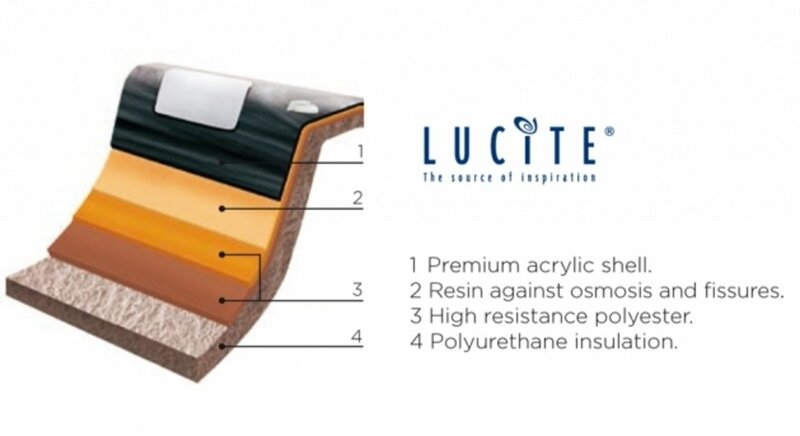 Our Nordic Insulation System is based on high-density extruded polystyrene insulation boards and polyethylene foam. It has been designed for cold climate installations and ensures improved energy efficiency of our hot tubs. This system is a substantial improvement over the standard EcoSpa as it minimizes the areas where heat loss occurs and optimizes the energy efficiency of hot tubs operating under freezing temperatures.